Because there are few comparative studies of open, laparoscopy-assisted (LA), and robot-assisted (RA) total mesorectal excision (TME) for rectal cancer, we aimed to compare these three procedures in terms of sphincter-saving operation (SSO) achievement, surgical complications, and early oncological outcomes. 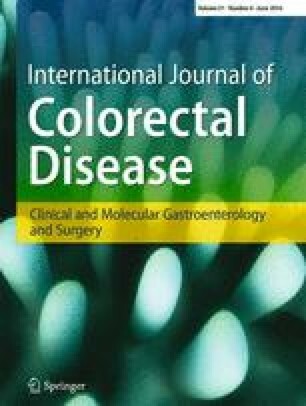 The short-term outcomes of 2114 patients with rectal cancer consecutively enrolled between July 2010 and February 2015 at Asan Medical Center (Seoul, Korea) were retrospectively evaluated. Patients underwent either open, LA, or RA TME (n = 1095, 486, and 533, respectively) performed by experienced surgeons. RA TME was a significant determinant of SSO in multivariate analysis that included potential variables such as tumor location and T4 category (odds ratio, 2.458; 95 % confidence interval, 1.497–4.036; p < 0.001). The cumulative rates of 3-year local recurrence, overall survival, and disease-free survival did not differ among the three groups: 2.5–3.4, 91.9–94.6, and 82.2–83.1 % (p = 0.85, 0.352, and 0.944, respectively). Early general surgical complications occurred more frequently in the open group than in the LA and RA groups (19.3 versus 13.0 versus 12.2 %, p < 0.001), specifically ileus and wound infection. There were no significant differences in 3-year survival outcomes and local recurrence among open, LA, and RA TME. RA TME is useful for SSO achievement, regardless of advanced stage and location of rectal cancer. The open procedure had a slightly but significantly higher incidence of postoperative complications than LA and RA. The online version of this article (doi: 10.1007/s00384-016-2586-6) contains supplementary material, which is available to authorized users. This study was supported by grants (to J.C. Kim) from the Korea Research Foundation (2013R1A2A1A03070986), Ministry of Science, ICT, and Future Planning, and the Korea Health 21 R&D Project (HI06C0868 and HI13C1750), Ministry of Health, Welfare, and Family Affairs, Republic of Korea. We gratefully acknowledge the expert assistance of Dr. J. Y. Lee, Mr. Y. J. Yoon, Ms. J. R. Kim, and H. J. Jung. All patients provided written informed consent, and the study protocol was approved by the Institutional Review Board of Asan Medical Center (registration number: 2015-0973) in accordance with the Declaration of Helsinki.